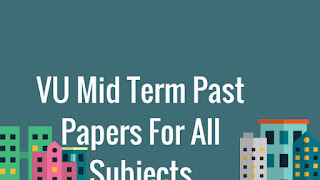 VU Mid Term Past Papers for All Subjects. Mid Term made by waqar and solved by hadi click the link below to download after download extract the zip file with winzip or winrar softwares. Enjoy! click the link below to download after download extract the zip file with winzip or winrar softwares. Enjoy!